This was a rather fascinating and fun show that we did with Dr. Richard Massey! Dr. Richard Massey has such a kind spirit and is incredibly talented at what he does. About 2 years ago we had him do a dried blood cell analysis for Kate and I. It was really great because he provides you with a box with a test kit inside that gives you all the materials needed to get the blood from your body to the glass slides. He also sends over a video that teaches you exactly what to do and how to prick your finger effectively for best results. Then a week or two later he sends a DVD of him talking to you about your blood. It’s filmed on the computer so you can see exactly what he’s talking about. For those of you who have not heard out interviews with Dr. Pieter DeWet or Dr. Gilbert Renaud you’ll definitely want to listen to both of those to more fully understand what recall healing is. The basic idea of recall healing is that all of our past emotions get stored in our bodies in some strange way. So for every disease condition you have an emotional trigger that when dealt with, can have a tremendous impact on any further progression of the disease process in the body. It’s quite fascinating to say the least. Kate and I had a tremendous time talking with Dr. Richard Massey today and it was truly an honor. We also discussed ways to put the power back into the hands of the patient. He recommends the book by Pieter DeWet called Recall Healing which you can get from Quantum Healing Tyler and also purchasing an EmWave which will tell you how your sympathetic unconscious nervous system is processing the information and emotions from the heart. With these two simple healing tools one can really learn a lot according to Doctor Massey. Personally I don’t have either of these things and I think it would be fun to play around with them. I’d love to see if I’m living from the heart in different situations in my life. Now the question is, what if the EmWave tells you you’re not living from the heart when you’re at work or when you’re performing a very important task you must do? What if you try your hardest and it’s still not working out? Do you quit your job or change what you do? Only you can answer that question but just knowing what’s going on is half the healing process. Intramax and Intramin tell them Dr. Massey sent you! 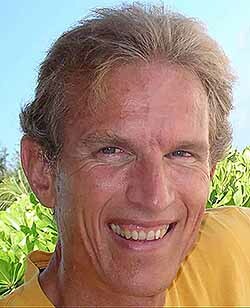 Dr. Richard Massey is a holistic doctor and former medical anesthesiologist. He now works with patients all over the world via Skype and offers dried blood cell analysis for patients. See video below. Recall healing, Family Constellation Therapy, Gestalt therapy, Living in the heart and more!